“MI” stands for Milan as an abbreviated well known code, but also means myself in the sense of acting. 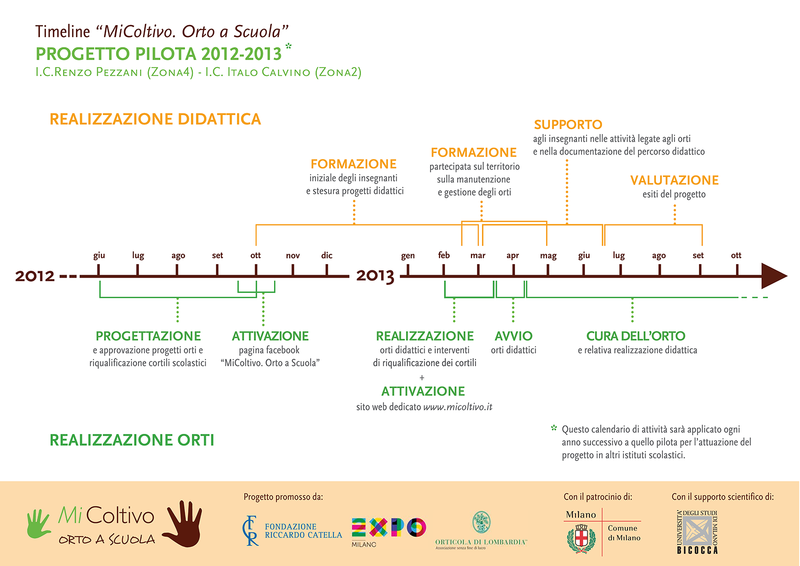 Expo 2015 Spa and the Riccardo Catella Foundation endorse the agreement to promote “People Projects” and present “MiColtivo – Cultivating Milan, Vegetable Gardens in School” an educational food and environmental project in state schools. 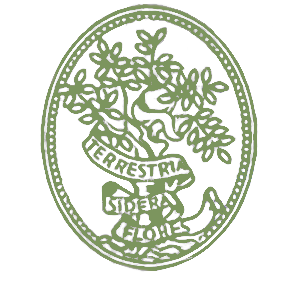 The Riccardo Catella Foundation has formed a work group, together with “Expo 2015” and the Lombard Horticultural Society, to support ventures linked to educational vegetable gardens of other nonprofit organisations to promote a wider diffusion of the programme thus creating a specialised network of nonprofit organisations. 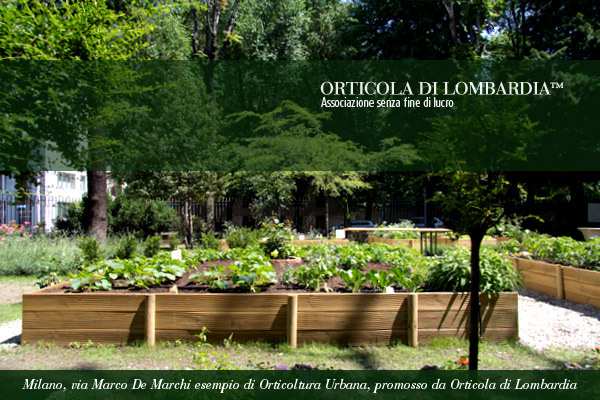 “Our Association has decided to contribute to the promotion of MiColtivo – Cultivating Milan – Vegetable Gardens in School, because we think it could be an important means of aggregation, information and education to stimulate public sensibility. In promoting closer attention towards all the subjects linked to nature and its exploitation with the right awareness, we hope to involve the conscience of future generations on the topics of environmental protection and botanical culture, respecting our traditions. The Lombard Horticultural Society will be responsible for the design and creation of the sites, the management of the work force and materials”. Many small but vitally important entities exist in modern cities: urban allotments. These provide a mini alternative to obsolete forms of production and consumption, as well as supplying green lungs for industrialised cities, teaching sustainable environmental practices, answering the need for “community spirit” and offering an alternative to weaker social categories. Vegetable gardens can be a small-scale substitute for large-scale intensive agriculture. Allotments are green tesserae in the city and contribute to the renewal of degraded, abandoned or underused areas, appearing as innovative elements in contemporary urban landscape. Urban Horticulture hopes to reach these categories and communities as a means of aggregation and training to adapt the social life-style to pay greater attention to all these themes linked to nature and its utilisation, so much in fashion today in institutions trying to make up for past self-destructive policies. Urban Horticulture tries to face these issues gradually starting with the captivation of individual awareness. The 5 flower beds around the fountain were transformed into 5 flowering vegetable gardens following Italian horticultural traditions; the vegetables, ranging from the most familiar to half-forgotten varieties, were planted side by side, with flowers in the middle. Iper helped to sponsor this venture. A typical allotment measuring 100 m2 under the famous Sail at the entrance to the Piazza Portello Shopping Centre which sponsored it, gave the inhabitants of the district the opportunity to come into contact with the reality of Milanese horticulture. The first “Faith Vegetable Plot”, created as part of the Urban Horticulture venture, was made and managed by the community of devotees with children from Milan’s German and Swiss schools. It was conceived as a peaceful, creative spot and a sign of tangible cross-generational commitment to protect God’s Creation given to all human beings. “The Faith Vegetable Plot” is in the garden next to the Protestant Christian Church in via Marco De Marchi 9, with the patronage of the German and Swiss Consulates, the Milan Goethe Institute, the German and Swiss schools in Milan and generous contributions from Bayer, Deutsche Bank, Escher s.r.l. and Giorgio Tesi Nurseries. It was inaugurated on May 5th 2011, by the German and Swiss Consuls with the mayor of Milan, and has been open since April 17th, accessible during services or by appointment at +39 02 6552858.